The Iraqi Army is attacking the ISIS stronghold of Fallujah that is also the place al Qaeda Iraq was born. The struggle in Iraq was so much simpler when the U.S. Marines recaptured Fallujah. Much blood and treasure was spent in the heroic Marine push into Fallujah. A decade later more blood, including some more American blood, will be spent in another abortive attempt to ignore facts on the ground and restore a Shiite Iraqi government to power. It has been apparent for many years that Iraq is not now and never was a cohesive nation. Harsh Sunni dictators kept the lines on the maps that were labelled Iraq in place. The other two elements in Iraq, the Shiites and the Kurds, did not share in the governing process or in the distribution of wealth. The Sunni Army, police and Intelligence forces kept them in place until the forces of the United States destroyed the Iraqi Sunni Army and governing infrastructure in order to install a Western type parliamentary government. In the process we destroyed the balance of power between Iran and Iraq. We know how to fight and win battles. We do not know how to do the nation building required to force fit a western democracy type rule in a part of the world that has no history of democracy or foundation of Western values. Both Presidents Bush and Obama share the blame for the rise of ISIS in Iraq. Back to Fallujah and facts on the ground. Iraq today is totally a Shiite nation. The ISIS movement is overwhelmingly Sunni and the Kurds are fighting to establish a Kurdistan nation. They will fight to resist any Iraqi Government that tries to subject Kurds to rule from Shiite Baghdad or a Sunni rule in any form, ISIS or not ISIS. The real threat in the area is Shiite Iran who intends to end up incorporating all of Shiite Iraq and the Iraqi oil reserves. What forces are surrounding Fallujah in the current struggle? Yes! Iranian militias, another name for Iranian government trained and equipped troops, who intend to destroy all Sunni armed groups in the region that could threaten their takeover of Shiite Iraq including Baghdad and south to the Gulf. An Iraqi victory in Fallujah will be a victory for Iran. US airpower and advisors will be fighting on the side of Shiite Iran against the wishes of our traditional Sunni allies and Israel who want ISIS destroyed but not at the emergence of a more powerful Iran. That is fine with our leadership. The President and his Administration are firmly in the Iranian group. Can there be any doubt after some of the details of the Iranian Nuclear Treaty which is not a treaty have leaked? Some things cannot be put back in the box and this is one of them. INSIGHTS 233 — WHO SHUTS DOWN THE GOVERNMENT? “That’s my decision, not the speaker’s. The Constitution gives the House the sole right to appropriate funds for the government. Early in my administration, the House forgot it had that power and did not use it. Power not used is power lost. “For example, no one should blame the president for the current budget deficit. I can’t spend anything unless the bill originates in the House, is passed by the House and Senate, and sent to my desk. If the Republicans believe the budget should be balanced and the deficit reduced, why don’t they do it? The answer is simple, they just don’t have the political courage to make the hard choices. In the vacuum they created, I stepped in and am now governing as if I could appropriate funds. “My base doesn’t want them to defund ‘Planned Parenthood’ so I said I would veto any bill that defunds ‘Planned Parenthood.’ Since they were planning to send the defunding issue up to me in the major budgeting bill, my veto of the bill would shut the government down. They are too dumb to change the messaging. It is not their fault I vetoed the budget bill. I vetoed the bill because it contained something neither I nor my base wanted. Ever since Speaker Newt Gingrich’s battle with President Clinton over spending issues resulted in a presidential veto and the shutdown of the government, all professional Republican politicians are in mortal fear of a presidential veto that results in a political shutdown of the government in the most painful way possible. I guarantee the pain part. INSIGHTS 202 — THE ADVISOR AND WHAT’S WITH THE IRAN THING? The Advisor had worked all week in getting ready for tonight’s discussions with the president. There was a lot to cover. The entire negotiation process with Iran was filled with false starts, new beginnings, and endless private discussions by various participants.This was going to be a hard session. The Advisor had serious reservations about negotiating with Iran, but he knew the president was dead set on doing some kind of a deal with Iran. But the president had told him he wanted to hear his candid appraisal of the Iran initiative. A soft bell rang and the Advisor glanced at his hall monitor screen. 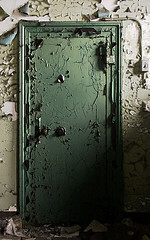 Sure enough the President and Chris were on their way to the old iron door to his chambers and only 25 minutes late. The president gave his usual murmured greeting and sat down at the conference table in his usual seat. The Advisor poured him a cup of fresh cup of dark roast while the president was lighting a cigarette. “Mr. President, the Iranians or Persians are a great and proud people. They’ve slipped over the centuries from the pinnacle of being a dominant world power. They want to reclaim their heritage. They don’t have the population or the economic base to be even a regional power. They have correctly analyzed their position and have concluded that becoming a nuclear power is the quickest way to improve their status. Under their religious leadership they will not be redirected. No matter the price, they will pay it. Keeping economic sanctions on will only delay their journey to nuclear status. “Nothing they say or promise will change their push for nuclear weapons. So you cannot trust them to keep their word. Short of changing the Iranian leadership or very heavy military strikes at their nuclear facilities and military centers nothing you or others can do will stop Iran from becoming a nuclear power. “Now for the downside of negotiating with the Iranian leadership. You know better than your White House staff, the political ramifications of the Sunni/Shiite division. Our traditional Middle Eastern allies have been the Sunnis. Our dealings with the Iranians have driven a stake of mistrust between us and the Sunnis that may never be removed. In addition, the Israelis believe America has deceived them. Their trust in America has been seriously eroded. “The other downside of a deal with the Iranians is that until now we have successfully kept the Russians out of the Middle East. You have already seen the Russians move to sell first line air defense hardware to Iran. More weapon sales will follow. Your European friends will not agree to reimpose economic sanctions. They want Iranian treasure for their goods more than they worry about Iran becoming a nuclear power. They have always been appeasers when faced with a choice between future dangers and the promise of prosperity now. The president ground out his last cigarette and left. The above is a fictional account of a president meeting with a legendary but fictional advisor. “ISIS Quiet Justice,” a new Jack Brandon novel dealing with ISIS in America, is now available from Amazon and Barnes and Noble in print form and nook and kindle formats. Follow the author on Twitter @factsfictions80. How did we get to the point where soldiers are being given termination of employment notice while in combat zones fighting for our safety and freedom? This is a new low for any president, his secretary of defense and the Joint Chiefs of Staff. After both world wars, America cut back on the troop level and budget of the armed forces. Then the respective presidents and the citizens believed wars were finally over and we could rely first on the League of Nations and later, the United Nations though they are both international organizations with more promise than results. We should know better now. The need for current troop levels and budget increases is real. Islam radicalism is real, as is their hatred for all things western and especially the United States. The Cold War is not over. It never was. Russia and China present real threats to the economic and military power of the United States. Diplomacy, no matter the narrow view of the liberal progressives now in power, cannot be effective without real military and economic power. This is political science 101, the most basic of all principles of the exercise of power. There is a pervasive myth that is part of the code of the liberal left or progressive movement. Social welfare programs cannot be funded adequately if the resources allocated to the military cannot be drastically reduced. They would rather have an ineffective national defense than cap or limit social welfare spending. The myth is easily perpetrated among a social political group that sees no need for the military and its exercise of violent power. The Vietnam War did not create this liberal group who devoutly believe if they are good and just, all other nations will also be good and just. This belief has been here as long or longer than recorded history. The actions of the left toward our warriors returning from Vietnam will never be erased. This is the same political group that justifies President Obama’s Benghazi actions and the subsequent cover-up. We all should be embarrassed at the actions of the Joint Chiefs of Staff and the secretary of defense. They supported the president in the Benghazi tragedy and the cover-up, knowing it was wrong. In a democracy, a Constitution that designates the president as the Commander-in-Chief doesn’t excuse any military officer or civilian officer for participating in a cover-up where Americans died without any attempt to rescue them. The Joint Chiefs do not have to act like mummies when they see the president’s secretary of defense destroying the best military force the world has ever known. They have a duty to resist and resign if necessary. 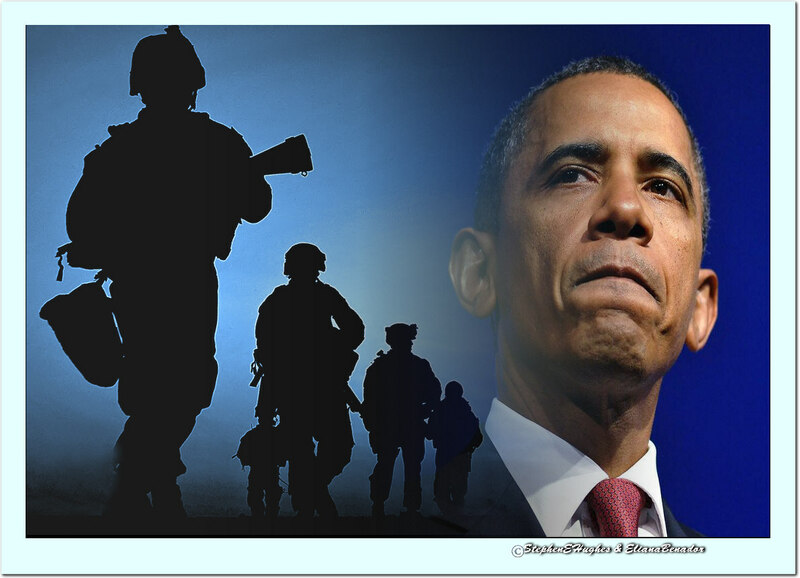 Terminating the service of active duty military, officers, and troops while in a combat zone is inexcusable. There is no need for this. Funds can be found without damaging any sacred social programs. While the current debt is too high, the needs of the military is not the driving force of the national debt. If the troops who are being fired for socialist reasons had jobs to go to, at least cutting the military force drastically wouldn’t be a humanitarian disaster. Thanks to the socialist need to transform American into a European socialist economy, there are no jobs for them to go to. Not only does this presidential action weaken America’s defense, it puts hundreds of thousands of able-bodied men and women into the ranks of the unemployed and hurts the morale of those who didn’t get cut. Chief of the Joint Staff, General Dempsey and Secretary of Defense Charles Hagel, where is your sense of honor? It is time for you both to resign. When Congressional leaders like John McCain and John Boehner do not understand Obama’s progressive transformation plan and continue to expect him to deal with issues facing the nation, we are in trouble. 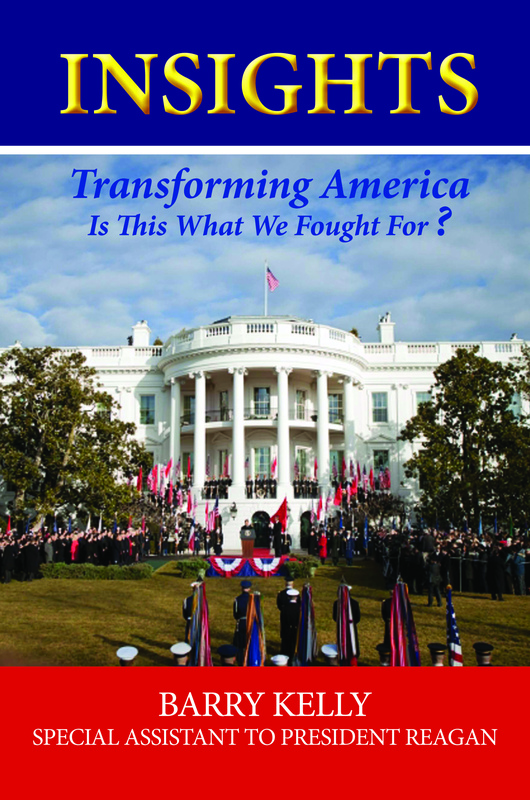 That is why I wrote my first non-fiction book, “INSIGHTS: Transforming America — Is This What We Fought For?” Every American who is concerned about their family’s future and the well-being of America needs to read this book. I believe the book’s message is so important, I sent proof copy books and letters to 20 leading conservative thinkers and leaders in the country. I need their support, and yours, to get the word out. The digital copy and hard copy versions are now available at Amazon and Barnes and Noble. Please help spread the word to your friends and neighbors. 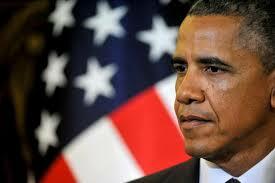 President Obama, photo by the New York Daily News. Obama. Once you understand his motivation and where that motivation comes from, his tracks are easy to follow. He is a very different type of American politician, one that we have not seen the likes of before. My new book was written so every American could understand the progressive transformation. There may not be many more chances to derail the current rush toward a socialist nation. This book is a code-breaker for understanding your president and defeating progressives in the polling booth come November. I guarantee that after reading “INSIGHTS,” you will clearly see Obama’s transformation for what it is. In the progressives’ world, there is no room for conservatives, libertarians, moderate Democrats or independents. Look for these groups in the dust bin of history if the transformation process continues under Barack Obama or Hillary Clinton. Five percent of profits from the sale of this book will go to a veteran cause. Your comments are welcome and needed. God Bless America. Law and order is a wonderful concept. Our way of life depends on the police and courts of the cities, states, and nation to meet their responsibilities of keeping us safe and our republic functioning smoothly. Throughout our history there has been no or little conflict between the forces of law and order and those of our war fighting forces. Other nations have had to learn to manage the conflict. The British forces in Ireland had to augment their colonial struggle against the Irish and the guerrilla fighters in Malaya. The French in Algiers. The Germans against the underground opposition in occupied Europe. The list goes on. In America, we had no such experience. Until the Twin Towers came down we had no need to change our ways of keeping our population safe and our property secure. Years before, during my tenure in the White House as a special assistant to President Reagan, we were getting close to the limits of using law and order tactics against terrorism. In one meeting in the Oval Office, I remember briefing President Reagan on our plans to combat terrorism. In that period, airplane hijackings, urban bombing, kidnapping were the tools of terrorism. My briefing explained how we were focusing the forces of law and order on identified individual terrorists with the intent of capturing them, no matter where they were hiding, and bringing them back to America for trial. Now that seems like a very conservative approach. But it was pushing the envelope then and there was serious resistance to violating international law from high level officials. Had I been wiser about looking into the future, I would have included in my briefing that we needed to start working on a more aggressive approach to the growing threat of terrorism. We were already past the comfort zone of using traditional tools of law enforcement. Instead of focusing on a few dozen active terrorists, we now are threatened by thousands. Instead of a handful of terrorists awaiting trial in our system of justice, there have been hundred of terrorists captured. Most of them are captured on the battlefield; there is seldom evidence that can pass our rules of acceptance for use in our justice system. There is even a problem of where to hold them. The Obama administration has made it a cornerstone of their ideology to close Guantanamo Bay as a place to hold terrorists and provide them with a trial by military tribunals. Our attorney general and the president do not recognize that we are fighting a war against terrorism and the capabilities and rules of evidence required by our courts are not suited for trials of terrorists who are not American citizens and who were captured on the battlefield, fighting for no nation state and wearing no national uniform. I don’t even believe that the rules of the Geneva Convention were meant to apply in these cases. So now we have the son-in-law of Osama bin Laden being tried in a New York court. Why? Is Eric Holder a control king? Do he and the president want to cut the military justice system out? Do they want to control the information that comes out in trials? It certainly cannot be on moral grounds. These are the same people who brag about killing terrorists with drone strikes. Being an American citizen doesn’t provide protection from drone strikes. Where is the due process and trial procedures there? The American people deserve an explanation from the president re his policy of pretending there is no war on terrorism and his practice of giving foreign terrorists who have been caught trying to kill us access to a justice system that until now has been part of our constitutional rights reserved for citizens and legal residents. I suspect the motivation for such madness is part of the extreme left progressive ideology followed by our civilian leaders. The core of this ideology is that if we show kindness and compassion to our enemies they will cease attacking us. 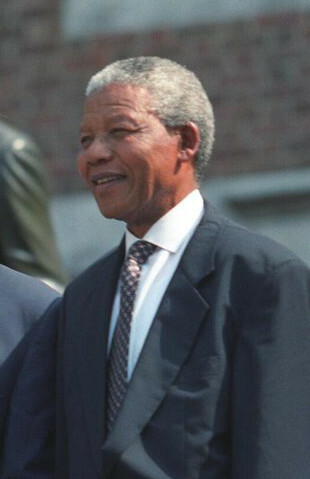 While Nelson Mandela wasn’t his president, though the Advisor wished he was, he was deeply touched by the passing of one of his lifelong heroes. The man was about simple things, he thought. He had strong beliefs and the strength to follow his dream. The Advisor felt he was within his rights to enter a tribute to President Mandela in his Journal. He would like to advise his President to copy Mandela’s play book. President Obama’s primary problems and troubles are nearly all the product of his actions and policies. How about Nelson Mandela’s preparation to be the leader of all his people? Where did he get the insights to plan his ascent to the leadership of a racially divided nation? Maybe there was no plan. Maybe he just did what he thought was right. Maybe he didn’t have to always be right. Maybe he was strong enough to make mistakes and admit them. Not apologize. Just recognize the truth. Maybe it was 27 years in jail with very little contact with the outside world. Maybe it was the strength of his word and his own code of honor. When offered limited freedom to renounce the use of violence to free the oppressed majority of South Africans, he said, “NO” and stayed in jail for another ten years. How many of our current politicians have ever shown that kind of courage and belief that doing the right thing was worth the sacrifice? President Mandela’s legacy doesn’t have to be made up of half-truths, lies, rewrites, exaggerated successes, or be dependent on the works of sycophant historical writers. His legacy is open, transparent to all who care and will be a living legacy. It’s too bad the people who traveled from faraway nations were mostly there for their own images rather than to honor him. The real form of honor would be for them to put their narcissistic egos aside, stop pandering and lying to the people. Inspire their entire nations to achieve great things. Don’t divide the people for your own political agenda. Unite them. Listen to them. Enhance their value to each other. Drop the elitist approach of always knowing what the people need. Just listen, they will tell you. By doing those things you will truly honor a man greater than you will ever be. A tribute to Nelson Mandela. An incredible man and leader. There were very few Mandelas in the past and no current ones I can think of. In prison or as president of a very troubled country his sense of honor and the value of his word were always with him. I know of no incident in recorded history where the leader of a long oppressed majority gained power and included the minority oppressors as equal citizens in the progress of the nation. A true leader who was always in the front of the struggle for freedom for all his people. 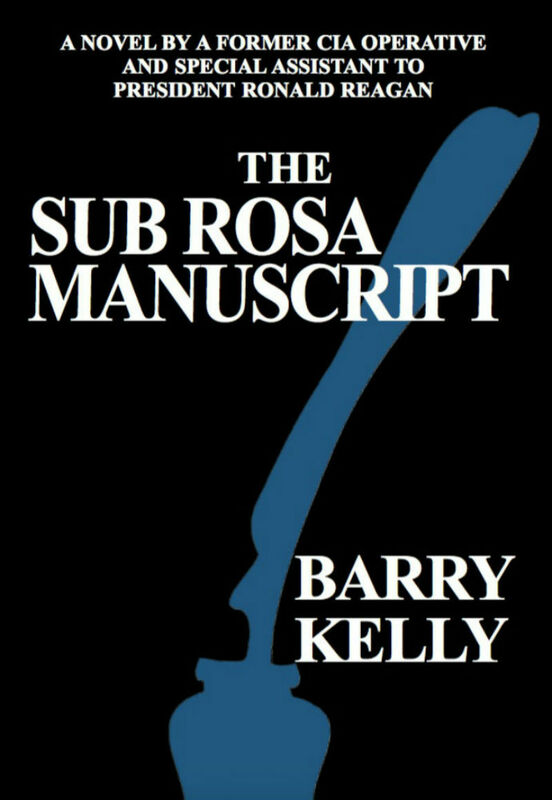 By the author of the Brandon novels. I welcome comments and urge you to pass on this message to your contacts. The above is the result of my own analysis, experience, and beliefs.